“Most Chinese smartphone vendors will disappear in the next three to five years, and we’ll be the leading ones.” That's a statement you can expect only from Huawei's outspoken CEO Richard Yu, and he didn't disappoint at the MWC expo. “In the future, our main competition will be from Western companies, not Chinese companies,” he added. 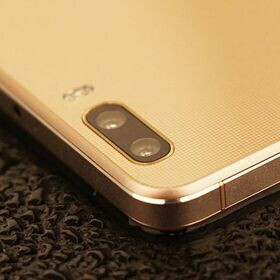 Now that two years have passed from the alleged telco spying scandal with Huawei, the company will be making a grand arrival on US shores, and will make its phones available directly under the Honor brand, reports Reuters. The push won't be only with carriers and direct sales. but rather a whole marketing strategy with billboards, sports events sponsorships and the like - the whole nine yards. Right now it's the dual camera Honor 6 Plus and the Ascend Mate 7 that are Huawei's flagship warriors, and those command price tags that is a third or more less than comparable flagships from Samsung or Apple. “Our design is more premium, more high-end,” boasts Mr. Yu, adding also that “For the smartwatch, Apple is also just in the beginning. We think we can do better.” Well, the company did increase its smartphone sales with 54% in 2014, reaching the whopping 74 million units - short of the 80 million forecast, but that's because it sold more expensive flagships than it expected. Huawei grabbed 5.7% of the market last year, making it the third largest smartphone seller behind Samsung and Apple, and expects to sell up to 100 million handsets in 2015, thus somewhat confirming Mr Yu's crusade ambitions. I think Xiaomi is much better than Huawei. Huawei smartphone's UI looks super lame and ugly compared to MIUI. Plus Huawei's own processor is really bad. Really mediocre performance. If you read anandtech review you'll see they're always criticizing their processor. Wow do you guys really like Bart that much? Yeah I don't see myself getting a Chinese phone anytime soon but I gotta admit. Their ascend line is simply stunning. Wish they rebrand it with Honor branding and sell those to the states. Anandtech is a stupid website itself . The only problem with Huawei phones is their GPU . The rest is great . LOL, No. Anandtech is the best tech site in the world. It's a real tech site not clickbait site like PA, BGR. I don't think their current flagships match Apple/Samsung's offerings, but I am sure they'd come up with true breakthrough products in the next 3-5 years. What they need to figure out right now is price. There's next to no chance their phones will sell for as cheap as they do in China, and many will be more than happy to pay $150USD+ premium for a Galaxy S/Note or iPhone if their Honor phones don't have any stand out features. Like many people already mentioned... huawei' CPU are quite weak and it's UI is plain ugly, for both of these reasons it's a deal breaker for me. I do wish they would make a deal with Qualccom for certain devices. Also a entire redesign from scratch of the UI. Samsung phones are so good . But 10-12 years ago they also use to make lame and cheap phones . Only a few use choose them over Nokia , Motorola and others . They were really unreliable and start to show problem within a month or two . I had one only lasted 7months and my brothers lasted even less . But now they are fantastic . So, Huawei deserve some respect . They have a good future . bring it on huawei. more competition, the better. I like how you all comment about a manufacturer or phone but don't have one. I have the Mate 7 along with 10 other flagships because this is my hobby. So save your money from your part time McDonald's job and actually buy the phone. You couldn't have said it any better. I have the Mate 7 as well and love it.